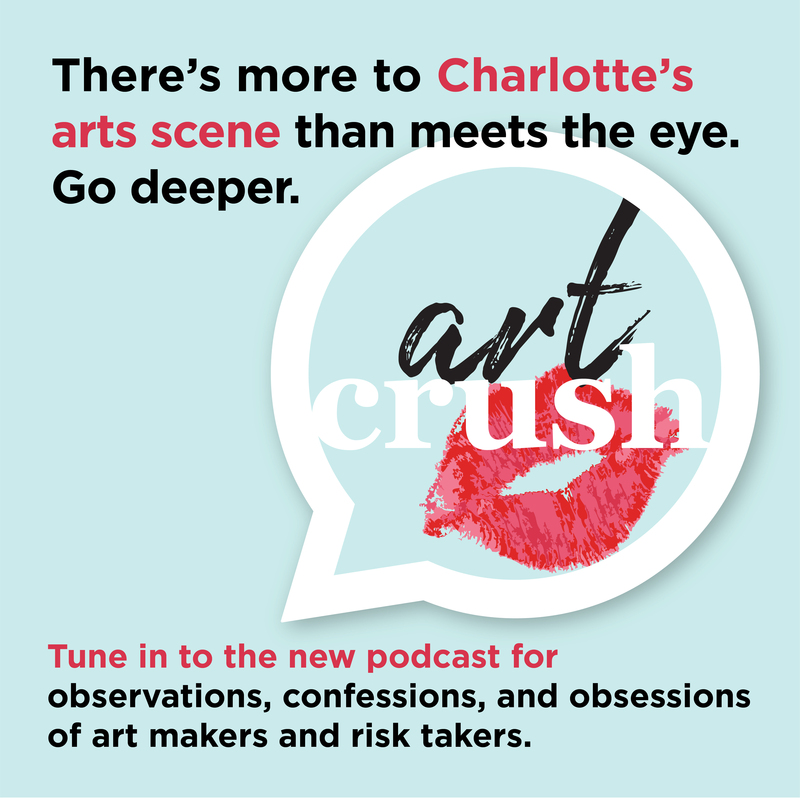 Tune in to ART CRUSH, the new podcast series showcasing the observations, confessions, and obsessions of Charlotte’s creators and style setters, and those who crush on them. Available on iTunes, Stitcher, Google Play, and other platforms. Produced by Kelso Communications with generous support from the Arts & Science Council. Additional support provided by Bold Missy Brewery. Sheri Lynch is an award-winning radio broadcaster, recognized five times by the Alliance For Women In Media for her outstanding and realistic depiction of women. Named one of America’s Most Influential Women in Radio every year since 2010, and nominated nine times for the industry’s highest honor, the Marconi Award, Sheri is a unique talent and role model in broadcasting. Sheri is the founder of Now! Media, the company that syndicates her radio program in the U.S. She is also heard worldwide on the Armed Forces Network. Sheri is also a podcaster, the author of two best-selling books, and holds a Master’s degree in Social Work. She puts that degree to work all day long, both in the studio and at home where she and her husband lay claim to eight or nine kinds, a small herd of dogs, and an entire battalion of cats. Follow her on Twitter @sherilynch; Instagram @sherilynch1; and Facebook at Bob and Sheri. Stacee Michelle is a published wardrobe stylist and fashion correspondent. Her magnetic on-air presence has captured the attention of national and local networks, including E! News, FOX, CBS, and more to serve up her opinion on fashion trends, beauty tips and seasonal musthaves. She has conducted fashion and entertainment interviews with celebrities like Chrissy Teigen, Trina Turk, Michael Costello, Fantasia, the Carolina Panthers, NASCAR drivers like Dale Earnhardt Jr, and more. She is routinely tapped by corporate brands and non-profit organization to host special events and galas. Most recently, Stacee hosted the Super Bowl LI Players’ Wives Fashion Show in Houston, TX and partnered with TRESemme for New York Fashion Week and Miami Swim Week. As a regular contributor to several lifestyle and fashion magazines, Stacee has moonlighted as an art director and created custom looks for photo shoots and fashion shows as a wardrobe stylist. You can even catch her styling athletes, musicians, business owners, and city influencers as their personal stylist. Her bubbly personality coupled with intimate product knowledge and perspective on fashion industry trends makes her the “go-to” woman in all things fashion! Stacee loves giving back to the community. In her free time, she empowers grade school to collegiate level fashion enthusiasts to pursue their passion, educating them on what it takes to navigate through the industry and sharing insider tips on becoming a stylist and host. Learn more at www.stacee-michelle.com or follow her on Instagram @itsStaceeMichelle.